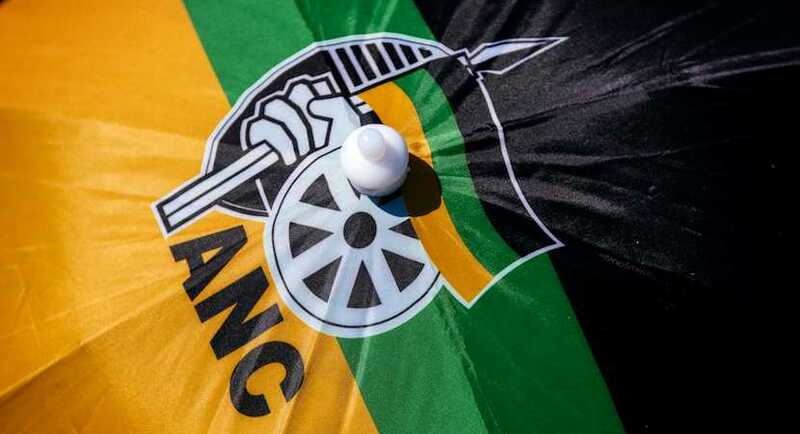 The ANC recently published the list of its members who will go to Parliament following the May election. These people will form the ANC Caucus in Parliament; they must support President Ramaphosa in his plans to set the government and the economy on a firm footing. If one takes a closer look, and applies one’s mind, the compilation of this list is almost more important than the voting percentage of between 55% and 60% that the ANC is likely to get in the general election. The compilation of this list is the most recent barometer of how matters stand in the battle between the constitutionalists on the Ramaphosa side, and the kleptocrats on the Zupta side. Although it is morally – and on many other levels – unacceptable that “State capturers”, liars and those open to bribery are on the ANC’s list, it is not the whole story. Bathabile Dlamini, Malusi Gigaba, Nomvula Mokonyane and other questionable people are there because the ANC is still divided, and because they (and the rest of the Zupta group) will draw supporters to the polls for the ANC. The ANC does not believe it will win the election without this support. Lesser cadres with a criminal history were, however, removed from the list. To know what will happen after the May election, one needs to look at the full composition of the list. Although this analysis is still in progress, some conclusions can already be drawn. There are five provinces where the Ramaphosa group is likely to have the majority – Limpopo, Gauteng, Eastern Cape, Northern Cape and Western Cape. There is one province where the Zuptas are still clearly in charge and that is the Free State (with the dangerous Ace Magashule at the helm). The other three provinces (KwaZulu-Natal, Mpumalanga and North West) are either 50-50, or too difficult to judge. Even if one leaves out the provinces with a small number of candidates, or where the ANC does not have much support (such as the Northern Cape and the Western Cape), it seems as if the Ramaphosa camp controls a majority of the provinces and he is likely to have a majority in the Caucus. The fact that the Zupta group (mentioned above), are included in the list, is more an indication that the ANC – for the sake of unity in the party and votes at the ballot box – could not or would not put much pressure on these questionable people. Against this background, there are three scenarios that could play out after 8 May. The first is that the ANC, with Ramaphosa at the helm, wins the election (with 55% to 60%) and that he immediately assembles his Cabinet, without any Zupta’s in it. He manages the divisions in the ANC well, gets the support of the Caucus and the NEC, and slowly but surely intensifies the fight against corruption and state capture. This strengthens the Rand and boosts the Johannesburg Stock Exchange. By the end of 2019, local and foreign investment increases. Although the growth rate for 2019 is still under 2%, a 3% growth rate in 2020 is possible. That’s the optimal scenario, with a 60% probability. The second scenario is one where Ramaphosa still helps the ANC to win the election, but he does not have the support of the entire Caucus and the Zupta camp remains strong enough to weaken or block any changes he plans to make. The Zuptas will allow him to remain in power, to speak positivity over the country and the economy, to grow the economy a bit, but continue undisturbed with their criminal activities. And Ramaphosa, with the sword of a National General Council meeting and redeployment hanging over his head, can’t do much about it. This scenario will not be publicly announced, but one will see it in the actions (or sometimes lack of actions) of Ramaphosa. This is the second weakest scenario, with a 30% chance. A third and worst scenario – with only a 10% chance – is where the Zuptas quickly “redeploy” Ramaphosa after the election (or at the National General Council meeting, which is scheduled for mid-2020) and replace him with a different President for the ANC and the country. It is difficult to guess at this stage who this President could be. David Mabuza probably wasted his chances with the Zuptas because he was directly responsible for Ramaphosa being elected president of the ANC in December 2017. Mrs Zuma may be a possibility, but she seems to have thrown her full weight behind Ramaphosa. Depending on the intensity of the internal struggle in the ANC, it may even be Ace Magashule or Supra Mahumapelo. This is clearly a catastrophic scenario, as it will quickly take the country into the abyss. It will also mean that many constitutional principles will fall by the wayside. All three of these scenarios depend on what happens to the internal struggle within the ANC. If Ramaphosa is successful in first taking the Zuptas out of the running and then removing them from his Cabinet, it can go well. If not, the same – or even worse – trouble lies ahead for the country. But what is going to happen in the next five to 10 years? Here, too, there are basically three scenarios, all hedged on whether Ramaphosa succeeds, or not. Scenario A is the one where Ramaphosa serves two terms as President. This means that after the May election he successfully isolates the Zuptas, selects his “own” Cabinet and continues the fight against state capture and corruption. He turns back to the Constitution and starts rolling out and putting into practice the National Development Plan, through the creation of the necessary legislation. He manages to implement economic reform with the full support of the ANC parliamentary Caucus and the NEC, to attract investments and to enable steady economy growth. This results in his re-election at the ANC’s elective conference in 2022 as president of the ANC, and he remains as President of the country following the 2024 general election. Meanwhile, the ANC elects a new deputy president to replace David Mabuza. Ramaphosa is only replaced by a younger candidate as president in 2027, at the ANC’s elective conference. This scenario is the most optimal for constitutionalists. In Scenario B, Ramaphosa only serves one term as President and will be replaced in the 2022 elective conference as president of the ANC. This happens because the parliamentary Caucus and the ANC NEC remain divided, with the Zuptas around every corner, sabotaging Ramaphosa’s reforms and undermining his presidency. These internal battles within the ANC cause the economy to continue to struggle and increase pressure on Ramaphosa. At the insistence of Zupta defectors, his head is on the chopping block within the ANC and he does not survive the elective conference of 2022. A new top six is elected that reflects the divided ANC, but with the return to a younger Zupta candidate like Malusi Gigaba, or even Ace Magashule and Supra Mahumapelo. David Mabuza doesn’t make the cut. This scenario is a continuation of what we have experienced over the past few years, but with a stronger downwards spiral, especially after 2022 – and therefore the most negative. Scenario C is the same as the above, where Ramaphosa serves only one term, but as a result of internal struggles within the ANC, the party further destroys itself. In 2024 it is ousted from power by a coalition of opposition parties. This scenario makes it likely that the ANC splits after the elective conference of 2022 and the constitutionalists break away and join the opposition coalition. The main reasons for voters to turn away from the ANC are the ever-weakening economy, even poorer service delivery and ongoing corruption. This scenario assumes that the DA , the EFF and other opposition parties capitalise on the steadily declining situation in the country to attract greater support among the wider population. The coalition government of 2024 creates greater political instability, but the economy slowly recovers. This scenario is not optimal over the short-term, but can recover positively after 2025. Theuns Eloff: Executive Director, FW de Klerk Foundation.